Rock Rapids, IA (May 14, 2015) – Newly redesigned LIFEPAC courses are now available for Alpha Omega Academy students in grades 6-10. A total of 25 courses have been upgraded with a contemporary look. The changes include a refreshed design and updated images for LIFEPAC's interior, new covers and boxes, and updated theme colors for the five main subjects of Bible, history and geography, language arts, math, and science. Rock Rapids, IA (April 13, 2015) – Located all around the world, a record number of Alpha Omega Academy seniors are eagerly awaiting their turn to participate in the online school's upcoming graduation ceremonies. Ninety-two members of the class of 2015 will attend one of AOA's three regional or virtual graduation ceremonies this spring. Rock Rapids, IA (April 2, 2015) – Alpha Omega Academy history teacher, Jackie Harbach, has been named a finalist in the 2015 Turnitin All-Stars program. Turnitin is a cloud-based service that Alpha Omega Academy uses to confirm the authenticity of student work. In addition to evaluating the originality of written work, Turnitin offers educators access to online grading and peer review tools. Rock Rapids, IA (March 25, 2015) – In the midst of his first professional supercross season, Alpha Omega Academy graduate Jordon Smith finished fourth at Lucas Oil Stadium in Indianapolis on Saturday, March 15. Smith is a member of the GEICO Honda team competing in the 2015 Monster Energy Supercross. According to an interview with Arenacross, his lifelong dream of becoming a professional racer began when he was four years old and he started riding circles on a home-mowed track in his grandparents' field. Rock Rapids, IA (February 4, 2015) – Sam Gesch, a Spanish and art teacher at Alpha Omega Academy, is hosting an art show this month at Exposure Gallery & Studios in Sioux Falls, South Dakota. Gesch's exhibit will open to the public on Friday, February 6, in conjunction with First Friday, a downtown revival project in Sioux Falls that focuses on shopping, art, and entertainment. The online teacher's work is heavily influenced by growing up in the Amazon of Peru, where his parents were missionaries involved in Bible translation. His gallery features 40-50 pieces for sale, including original paintings, printed digital pieces, leather bracelets, and leather cell phone cases. 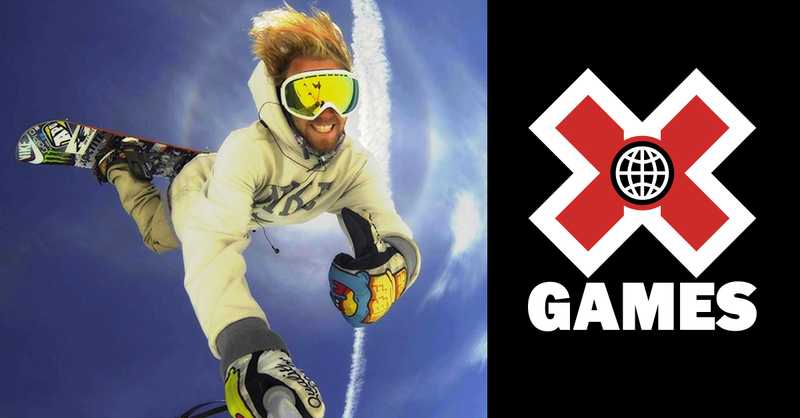 Rock Rapids, Iowa (January 22, 2015) – Olympic gold medalist and Alpha Omega Academy graduate Sage Kotsenburg returns to competition this week during the Winter X Games, which runs from January 22-25 in Aspen, Colorado. Rock Rapids, IA (December 2, 2014) – Alpha Omega Academy seventh grader, Kurt Hoshino, is gearing up to start his fifth season as a member of the United States of America Snowboard Association (USASA). His first event this year will take place on December 14 at Mammoth Mountain in California. Rock Rapids, IA (November 13, 2014) – Integrated Physics & Chemistry, a main science course for ninth grade students at Alpha Omega Academy, is now more interactive with the recent release of new projects, including the addition of new virtual labs. Rock Rapids, IA (October 8, 2014) – Alpha Omega Academy is pleased to announce the release of four new courses for Ignitia online curriculum, with a fifth slated for release soon. Ranging in topic from career and test preparation to physical education, the courses provide students with academic, life, and career skills to be used in high school, college, and beyond. Rock Rapids, IA (September 19, 2014) – According to the school's annual College Readiness Report from ACT, Alpha Omega Academy students surpassed both state and national averages on the ACT during the 2013-2014 school year. Headquartered in Rock Rapids, Iowa, the online distance learning school for grades K-12 reported an average composite ACT score of 23.0, which exceeds the state of Iowa's average composite score by a full point and the national average by two full points.